Whatever low-pressure HVAC parts you need, Marstan can help you complete your goals. In addition to the ability to supply your producton part needs from our massive inventory, we also pride ourselves on our rapid custom part turnaround. Click here for a working schematic to find your part. 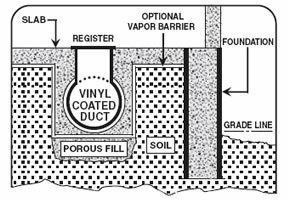 Since 1973 Marstan has been supplying dealers and wholesale companies with PVS Underground HVAC Ductwork; also known as PVS or PCD Polyvinyl Coated Steel Duct and Fittings. In addition to providing the industry with Sheetmetal Fittings, our Coated Duct is compatible with hundreds of chemicals for Exhaust and Make-Up Air Systems. Marstan continues to provide unique and reliable solutions to our customers. If you need PVS Elbows, Reducers, Taps or Tees we have hundreds of PVS Fittings to choose from. Marstan offers a huge variety of Galvanized Sheet Metal Duct. 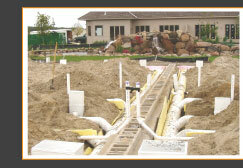 Our Galvanized Duct is built to meet or exceed all SMACNA Specifications. 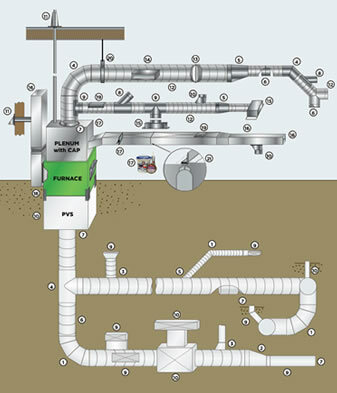 We offer Rectangular Duct, Spiral Pipe and a complete line of Sheet Metal Fittings to accommodate all industries including Asbestos Abatement and Duct Cleaning.